Captain Parrol Hartroy happens to be at a checkpoint with a soldier when a civilian happens to pass through. The soldier checks the papers and waves him by but shortly after, Hartroy sets off after the person and catches up with him, point a gun and telling him to surrender. Hartroy tells the man that he knows the man to be Dramer Brune, a spy for the Confederacy. Brune admits it and says that he will go quietly. The next morning, Hartroy confronts Brune explaining that Hartroy knew who he was because years back, Hartroy was ordered after a long day to watch Brune over night after Brune had been previously captured. Hartroy had fallen asleep and Brune had done no harm--either escaping or reporting on Hartroy. In this way, Brune had saved his life. Challenged by this Hartroy ponders what to do but as the camp begins its morning routine, he is interrupted by other soldiers and must sent Brune to his death. While Brune is being executed, Hartroy takes his own life, recognizing that his and Brune's nobility in war are many ways no different. 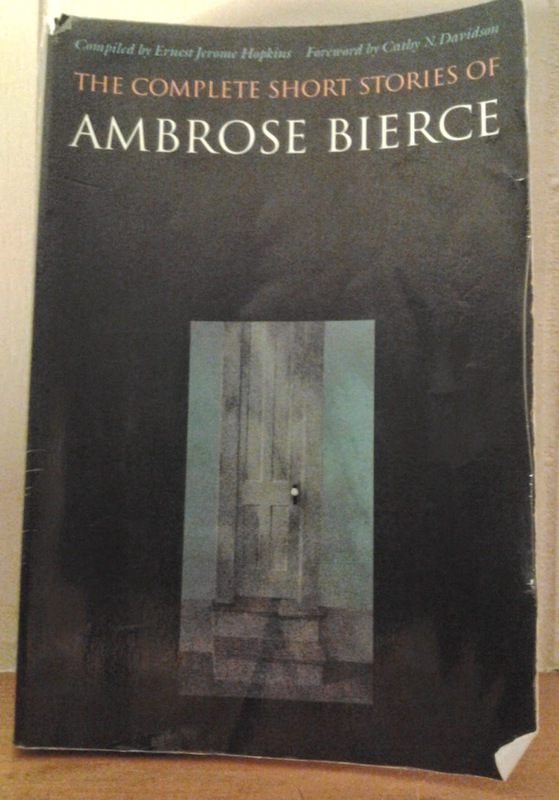 This struck me as one of the better Bierce stories that I've read in a while in this anthology. It captures well Bierce views of the challenge of war--it's all mortal men trying to do right by their country and themselves and somehow reconcile their desires to live with others. It also speaks to the challenge of being kind in an environment where that is not to be expected or can result in being killed quite easily.